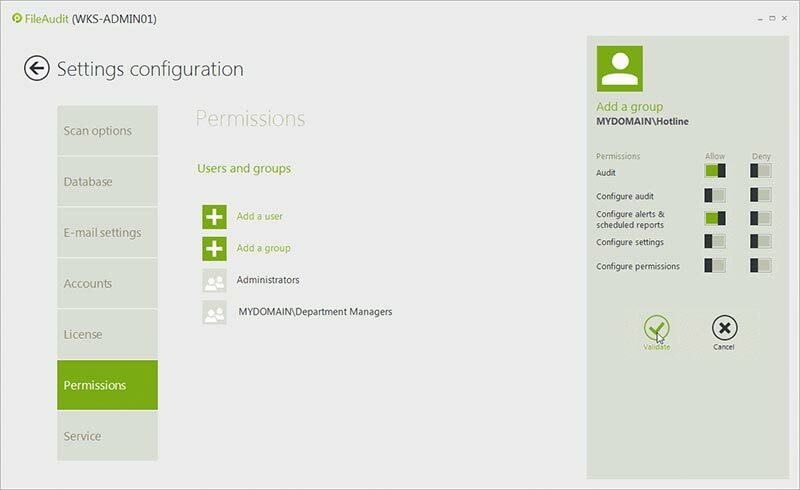 In the ‘Settings configuration’, the ‘Scan options’ section allows to exclude access events generated for specific user accounts, executables and extensions. This is particularly useful to exclude file accesses generated by backup software, an antivirus, etc. You can set specific accounts for people without administrative rights and define which FileAudit features you wish to make available to them. 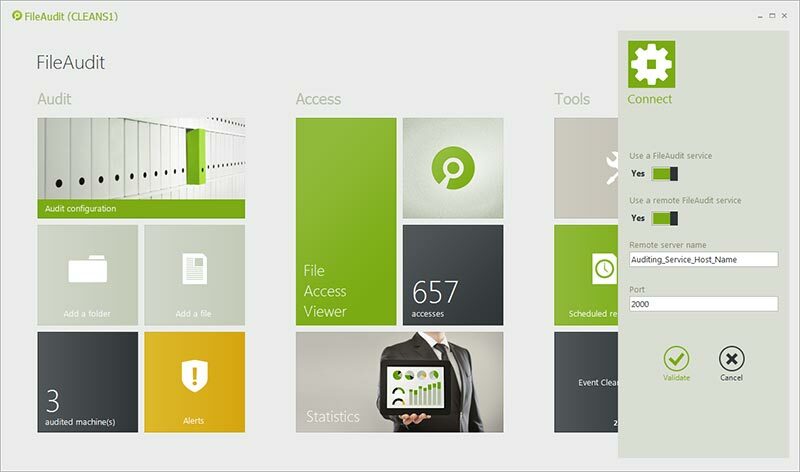 To access to this feature, click on the ‘Settings’ Tile in the Tools area and go into the ‘Permissions’ section. 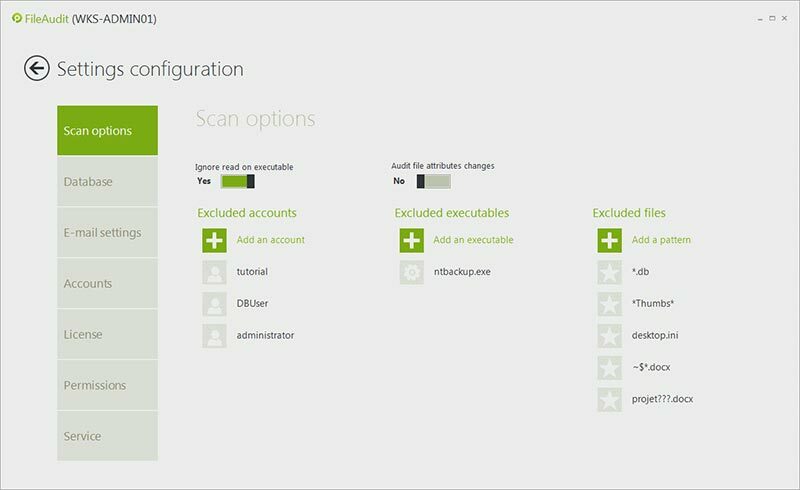 Then, you can allow the remote connection to the FileAudit auditing service. This avoids giving a direct access to the system where FileAudit is installed. Perform a custom installation of FileAudit on the machine of non-IT auditors by selecting only the console component. 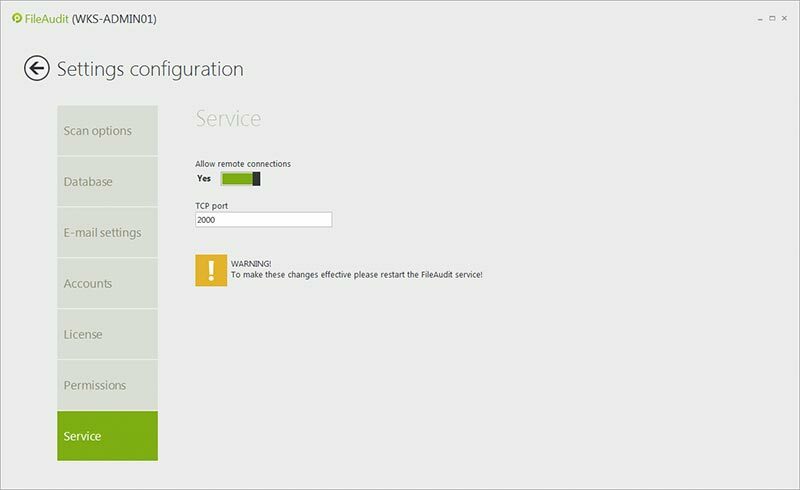 Once done, open FileAudit and remotely connect to the auditing service using the ‘Connect’ button.